I had the pleasure of watching this beautiful little heifer being born on Monday, March 19th right before my husband and I left for the DFA Annual Meeting in Kansas City, MO. As I was packing for our trip that day, my husband called and asked me to check on our Holstein Chickadee who was in the process of calving. I have watched a few births in the past almost 2 years that we have been at the farm full-time, but this one was a little bit different. The mama seemed quite unaffected by the whole ordeal. She STOOD and munched on clover all but the last 5 seconds of pushing that baby out. Must have been some GOOD clover! It was a little bit concerning to watch because I wasn’t too anxious to watch a tiny newborn hit the ground! I was relieved to see the mama go down right before Cinderella slid the rest of the way out. ha ha! My husband says I saved the baby’s life by taking time to watch the birth for him. I kept in communication with him and was able to get him there as soon as she was born to remove the birth sac that happened to be covering her nose and mouth. (In all reality HE saved her life, because I certainly would not have known what to do! ha ha) He had to work with her a minute to get her breathing which was so terrifying to watch. She was just a little lifeless, completely still little body until I heard her take her first breath. That was absolutely the most beautiful, joyful moment you can imagine!!! We decided to name her Cinderella sticking with the “C” theme of her mama’s name. She is now 9 days old, eating good and playing hard! 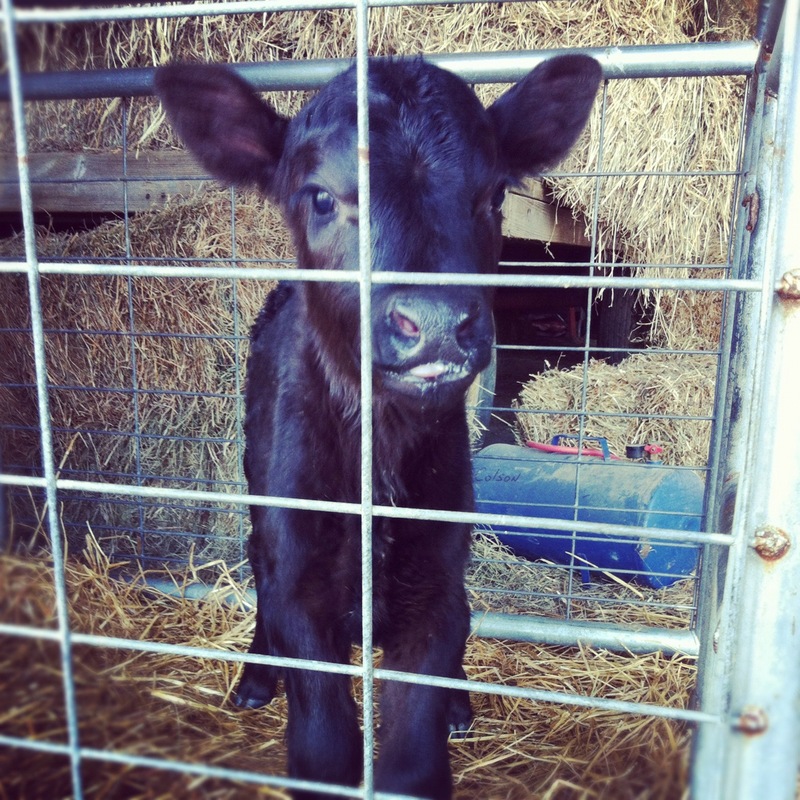 Beef calving season is upon us here at Alpine Hills Dairy Farm. While our main focus is dairy cattle, we also have a number of beef cattle too. About a week ago one of our mama beef cows had a set of twins. As is common in situations like that, she decided to only take one of them. Too sad, I know! 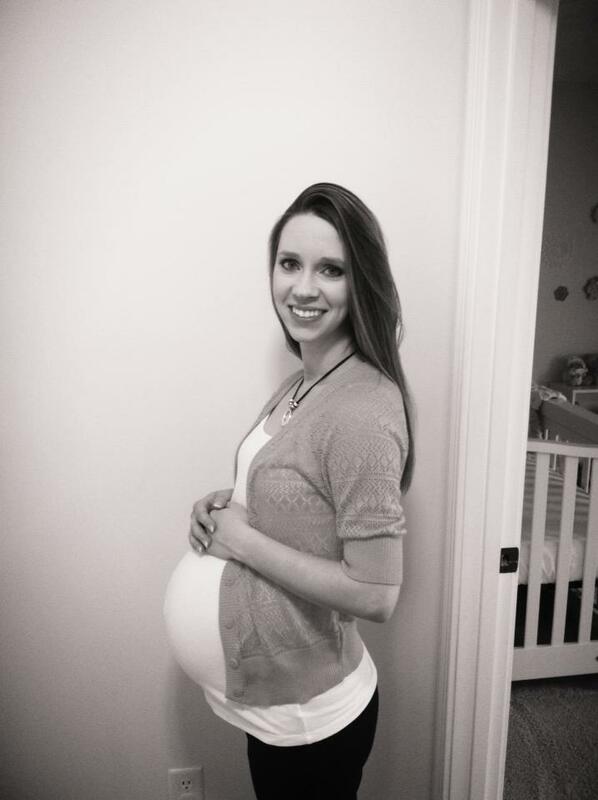 That left us with the delightful job (no sarcasm here) of raising her teeny tiny, super adorable other twin! My heart melted the instant I saw her. How can you not instantly fall in love with something so tiny and helpless…..we estimate she weighed around 30 lbs at birth…..super tiny compared to our 100 lb dairy calves. As I approached her cage for the first time I expected her to stay curled up in a ball, but NO! The moment I got close, she jumped up and ran into the side of her pen trying to get away from me – all this at just a couple of hours old!!! Ha! It was truly amazing to witness the survival instinct that God has built into these little animals. As the days went on and we began bottle feeding her twice a day, she has calmed down and now runs to me instead of away from me. She guzzles down her bottles with no problem at all. At this rate, she won’t stay tiny for long! 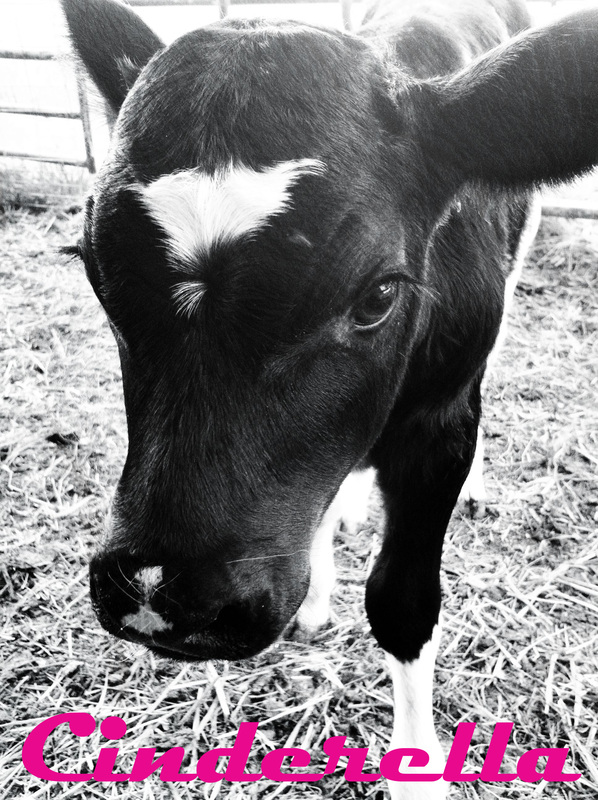 Naming Contest: Help Us Name Our Holstein Heifer! 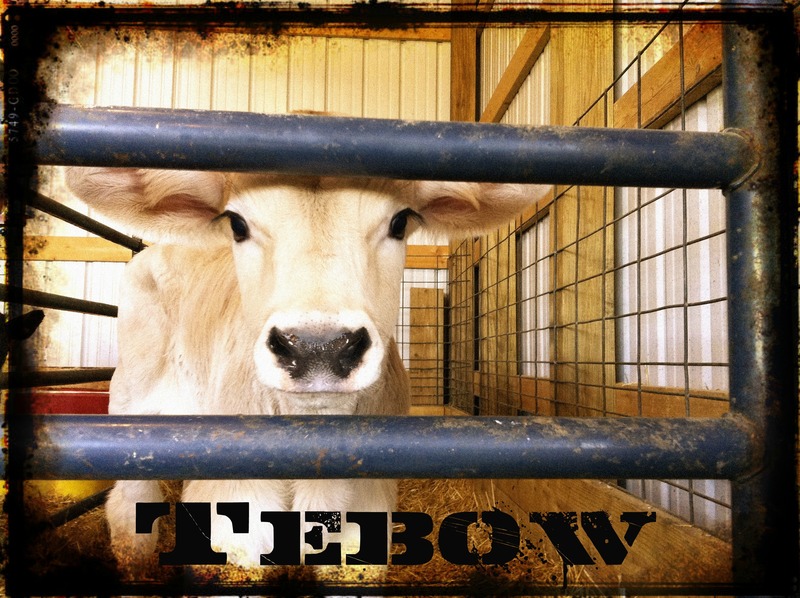 I first started doing Calf Naming Contests on our Facebook Page almost 2 years ago! 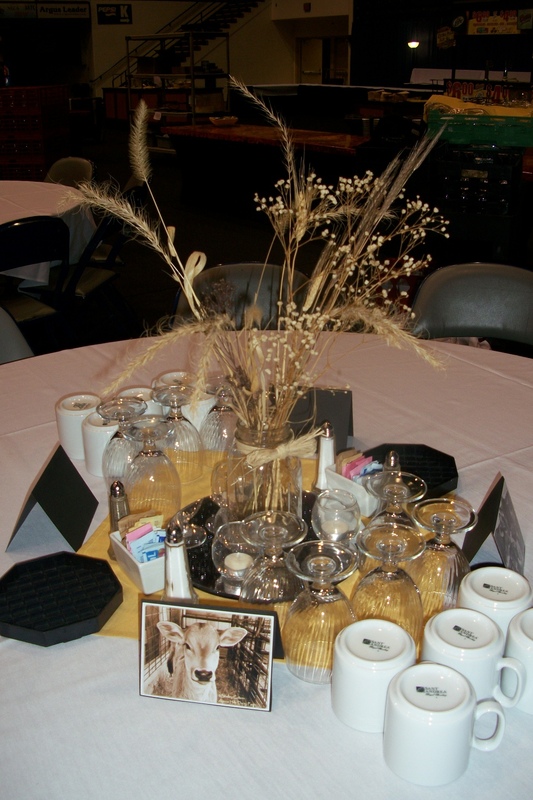 They have always gone over very well and we’ve consistently seen a great response! It’s always so fun for me to watch as all the great name ideas come pouring in for our cute little calves! 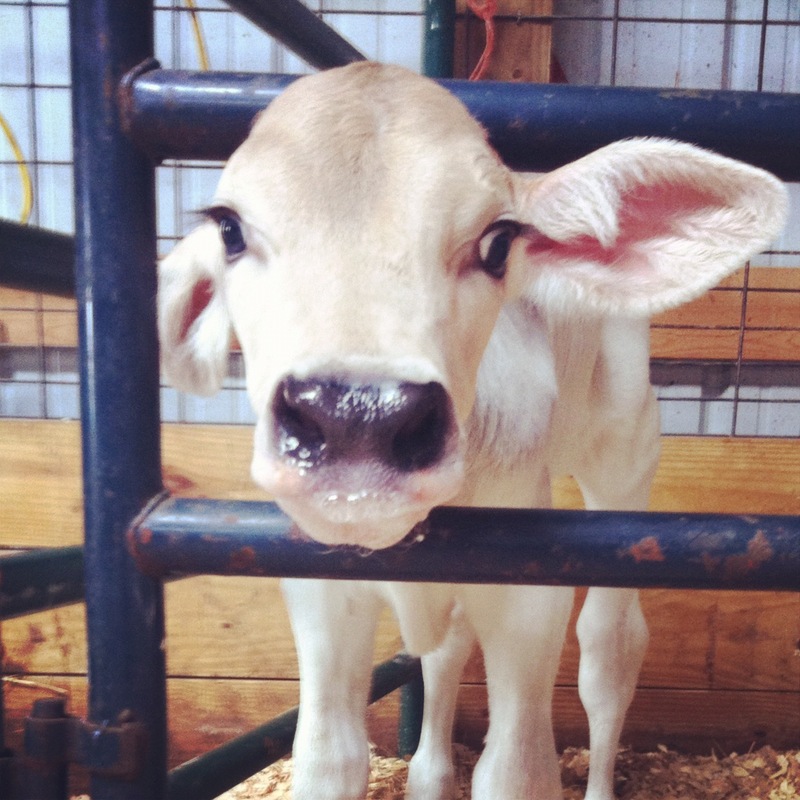 Today I am excited to announce a Naming Contest for this adorable Holstein heifer! We are asking for names beginning with the letter “I” for this one. 🙂 You can submit your name ideas here on the blog, or on our Facebook page through Wednesday, February 8th!!! Thanks for your participation! 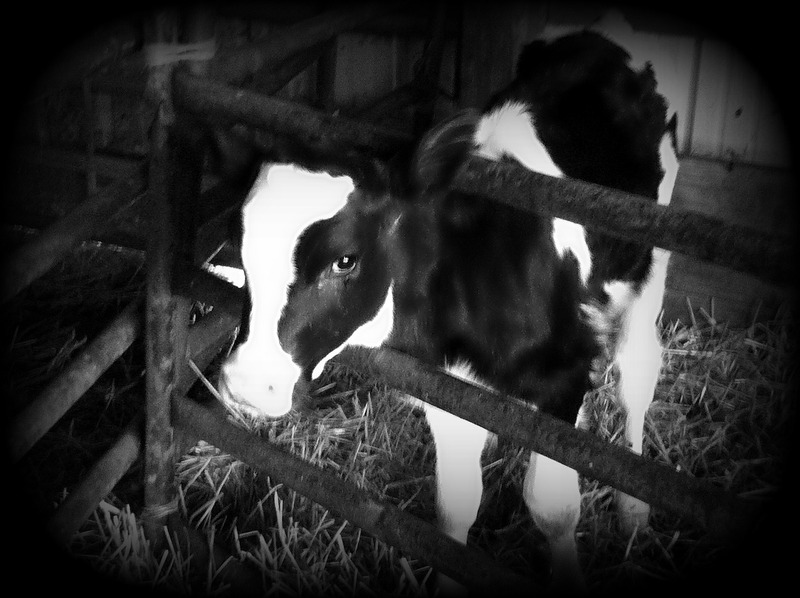 Click here to view pictures of all of our 2011 Calves.